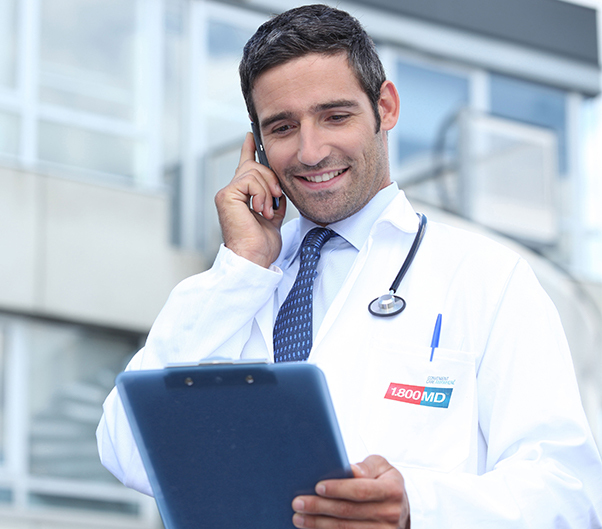 1.800MD provides our physicians with the infrastructure to practice medicine on a call-by-call basis, which in turn allows you to set a schedule that works for your lifestyle. Our telehealth solution allows you to simplify and improve your quality of life by allowing 1.800MD to take care of all the business details and letting you do what you love – help people. By becoming a part of 1.800MD’s proprietary network, you can generate incremental revenue with our competitive reimbursements and call availability, and provide top-notch care to our members with our rotating call schedule. Provided by 1.800MD, you will receive comprehensive training in our superior telemedicine platform, coverage under 1.800MD’s insurance umbrella and prompt payments. To find out how you can become part of our elite network, contact us today.